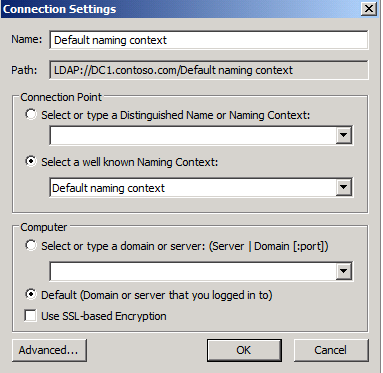 NetLogon shares: These typically host logon scripts and policy objects for network client computers. 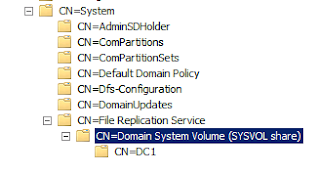 If the domain functional level is Windows Server 2008 in a new domain, the servers use DFS replication for SYSVOL replication. If the domain functional level is Windows Server 2003 (or below), the servers use FRS for SYSVOL replicaton. 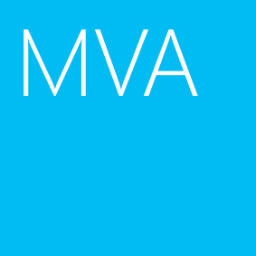 After the domain controller is upgraded the domain functional level to Windows Server 2008, it can migrate to use DFS replication. 2. Click "Start", enter "adsiedit.msc". 6. 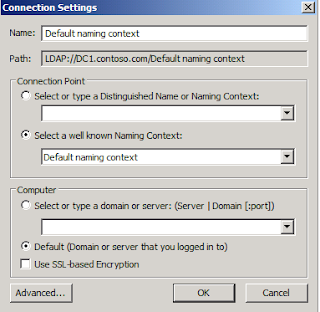 Expand "Default Naming Context > <Domain Name> > CN=System > CN=File Replication Service"
All domain controllers have to be upgraded the domain functional level to Windows Server 2008 or above. Full replication for Active Directory Partition should be forced before performing the migration. 2. Launch "Command Prompt", enter "repadmin /syncall Aed"
3. 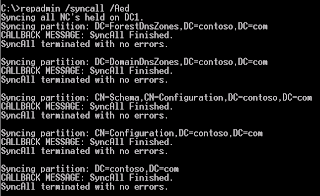 Enter "repadmin /syncall /AedP"
Remark: You have to perform this commands in all domain controller. 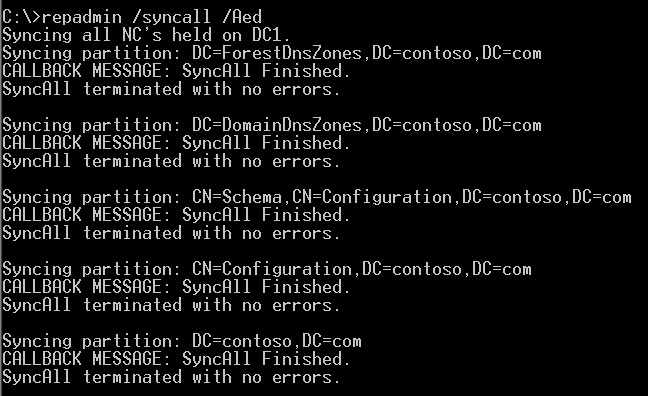 Remark: "repadmin /syncall /Aed" is used to pulling the replication from other domain controllers.